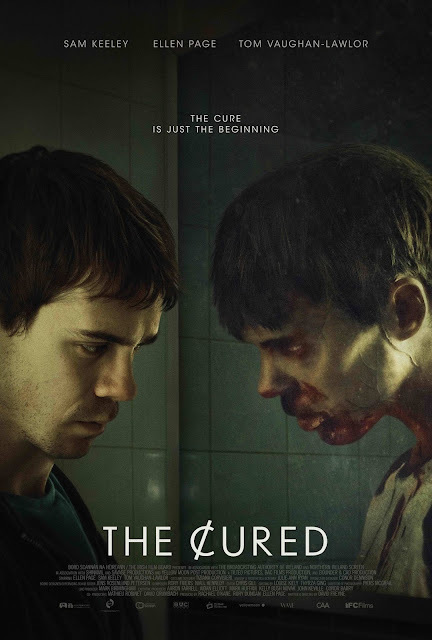 This is a new poster for the upcoming film The Cured. It was written and directed by David Freyne, which was developed from his proof of concept prequel short film titled The First Wave. It stars Ellen Page (Inception, Juno), Sam Keeley (In the Heart of the Sea), Tom Vaughan-Lawlor (The Infiltrator), and Stuart Graham (The Fall). IFC Films will release it in limited theaters and on VOD on February 23rd. Check out the synopsis below. "The film unfolds in the aftermath of a devastating virus which transformed the infected into zombie-like monsters. Mankind is struggling to rebuild societies deeply divided between the uninfected and those who did succumb to the virus and are still haunted by their violent actions. In the backdrop, the rise of a terrorist movement threatens to plunge the world into chaos again."